I found the magazine in a book store, LOVED IT, and then found the app where I could purchase back issues. I love the app, for downloading new and old issues. I can print templates and pages from my iPad. And the links to designer blogs, websites and shopping sites are highlighted and clickable. It doesn’t get much easier than that. My only (minor) complaint... 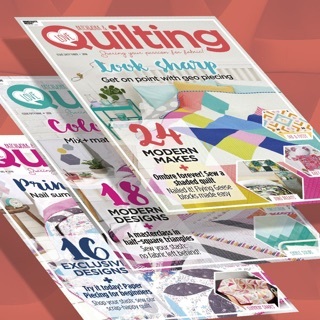 Some of the older articles or patterns (2 years old) have links which are broken, outdated, or maybe expired, but that can almost be expected. That just gets me moving and making sure I download and save current articles ASAP! As soon as I get my new copy I save the ones I love right away! I was reluctant to buy this magazine at my local fabric shop because it was sealed in plastic and I couldn’t look inside. I had a birthday gift card so took a leap of faith and bought it. Oh my!! 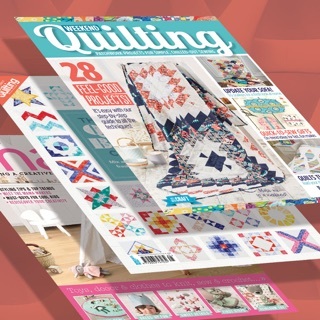 I instantly fell in love with all the modern quilt patterns, reviews on fabric and notions and the overall feel of the magazine. 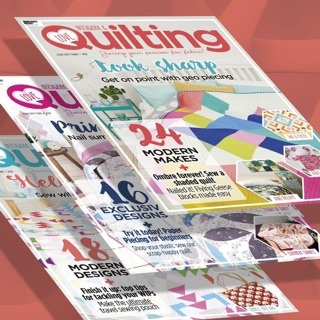 I found more quilts in one magazine, that I wanted to make, then in most of the quilt books that I looked at that day. I have not turned back since, and I cannot wait for each new issue to come out. Buy this, you will not be disappointed. I love this magazine, and when it works, it’s absolutely wonderful. I am subscribed through iTunes and semi-frequently need to delete the app and re-download to get the content. When I try to open an issue that’s included in my subscription I often get stuck with a black screen and a 0% frozen on it. I’m pretty frustrated because it’s been happening more often than not recently, and I might switch to the physical magazine instead. Again, the content is beautiful, modern, and well taught through the instructions, but the app experience leaves a lot to be desired for me. Update- dropped to one star because I had to reinstall the app twice in a day due to the above issue.